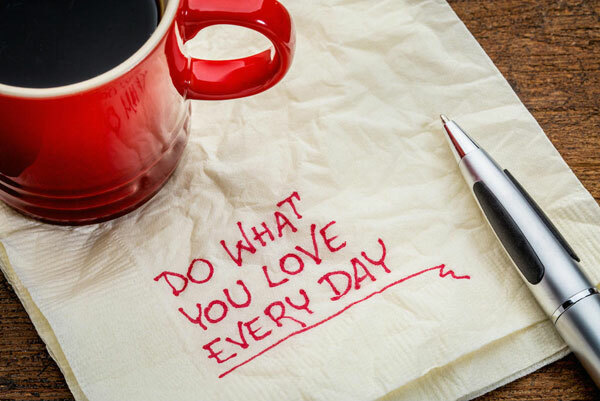 There’s a well-known advice for every person who’s trying to achieve business success or succeed in a career saying that you should do what you love and money will follow. Ideally, it’s highly recommended to find something you’re good at and some people to pay for it, but the reality is slightly different. However, this subject about transforming your passion into a great and successful business has generated different opinions, with pros and cons, we believe that everything is possible if you want it badly and you’re willing to mix passion with work. If you are seriously considering turning your passion into something big, such as a successful and great business, it’s good to keep in mind these ideas. Nonetheless, for various reasons, people have failed in materializing their passions and dreams, so here are several key elements to help you become successful. Given the fact that you identified your passion for something (cooking, programming, HR or other areas), it is also recommended to be careful about your target audience by answering a few key questions. Who are those people that would purchase my expertise? Am I really qualified to attract enough persons and transform this passion into a business? How am I going to do this? There’s no point to remind you that it’s widely important to be specific and relevant about your segment on the market you want to serve. Without a doubt that you’ll deal with lots of obstacles and pitfalls on your road to transform that passion into a great business, but the key is persistence. Many people have failed because they decided to quit, being disappointed about tough obstacles or pitfalls. As long as you’ll keep working and persist to pursue your passion, there will be visible changes. Challenges are everywhere, so it’s important to show great resilience and keep walking. Just because you’re passionate about a specific segment/area on the market of which you’ve read so many books and online resources, it doesn’t mean that you’ll have a great business anytime soon. Besides passion in your field, a person needs to work hard, as well as to have business and management skills to become very successful. Whether you choose to attend free online business courses or get an MBA, a business needs to be learned. The idea of mentoring is also available for the business domain as well, not only for job seekers or people who need to reach their full potential and need guidance. Mentors are experts with great experience in a field you want to succeed and they can help any business startup with useful and reliable advice. Moreover, they can develop and learn the right acumen to make your next business a real success. Every time you want to achieve something big, it’s extremely essential to be surrounded by people with the same vision, people who inspire and provide you useful advice. Finding those people who have a passion for the same area/domain as you, it’s important for your business, in order to get hands-on experiences, insights or more perspectives. 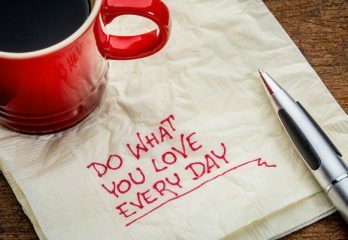 Have you considered any of these ideas while thinking of turning your passion into something big: a successful business?